Is a Kid's iPad Addiction a Bad Thing? David Pogue, the New York Times' tech columnist, has been doing a lot of thinking lately. 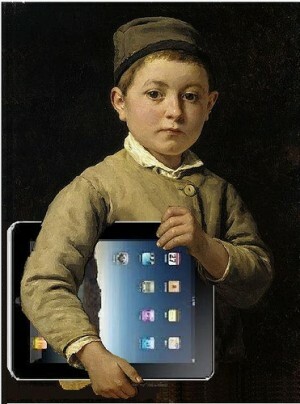 His 6-year-old son, he says, is addicted to the iPad. But rather than automatically whisking it away from him, he has other ideas. "Is a gadget automatically bad for our children just because it’s electronic? What if it’s fostering a love of music, an affinity for theater and expertise in strategy and problem-solving? Is it a bad thing for a kid to be so much in love with mental exercises? Am I really being a good parent by yanking THAT away? For now, I’m trying to live by the mantra, “Moderation in all things.” As long as iPad use is part of a balanced diet of more physical play and non-electronic activities, I think my little guy will probably be O.K." The comments from readers range from: "Who in their right mind gives a 6-year-old an iPad?" to "All the ideas and skills he's learning right now can be applied to bigger and better things."